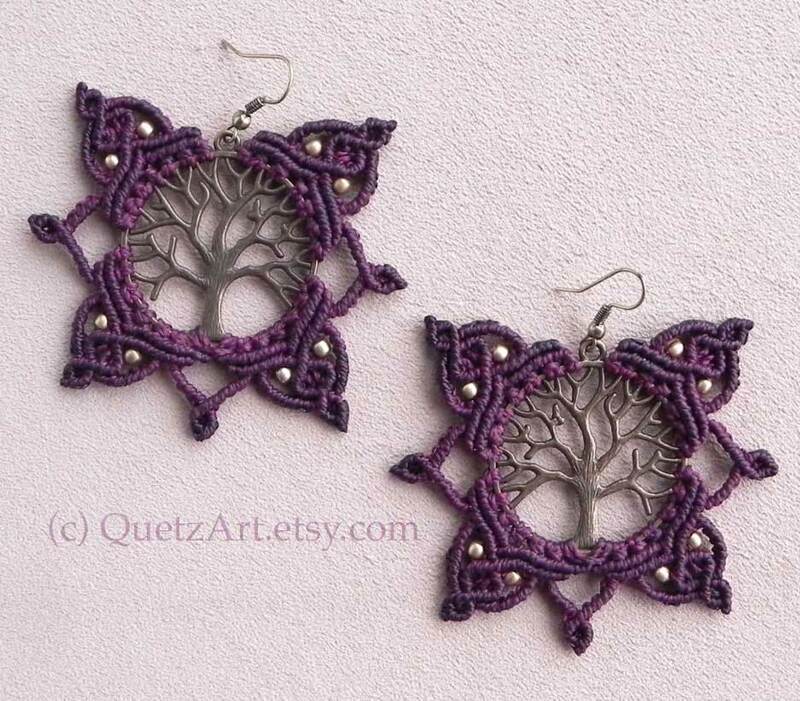 Macrame artisan Mal Gosss of QuetzArt in Barcelona, Spain created these intricately made bohemian-style macrame earrings. I love how she used a simple metal charm and beautifully enhanced it with some beads, thread and her imagination. I got captivated by this fascinating technique while traveling in South America a few years ago. Since then, it became a way to let my artistic soul express itself, a way to relax and to meditate as well. …I use semi precious stones which have healing properties. Those little gifts from our Mother Earth can help you to achieve peace, health and self confidence, among others. They have been used by indigenous people throughout centuries for spiritual purposes and my creations are inspired by their tribal jewelry and indigenous woman from all around the world. The name of my brand – QUETZART – comes from Quetzal, an amazing bird that lives in the forest of Central America. By Aztecs and Mayas it was considered divine, a symbol of freedom and wealth. Quetzal cannot live in captivity, for once [captured], it will die soon. And for me it is the same with our creativity – one cannot live to the fullest if his creativity is restricted. View more of her stunning earrings in her etsy shop.